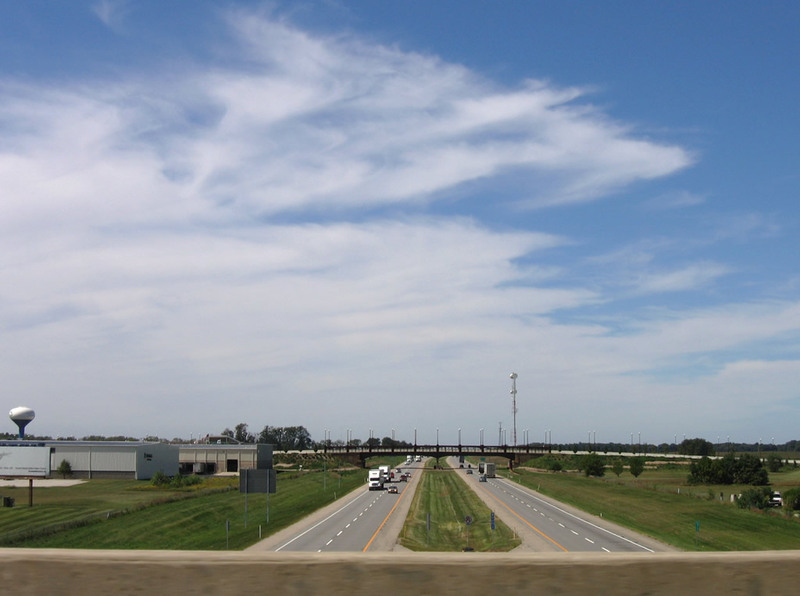 Passing over the Indiana East West Toll Road along U.S. 31 (St. Joseph Valley Parkway) and looking west. Photo taken 09/02/05. The 2,900-mile cross country interstate that runs from San Francisco to New York City runs for 152 miles from Hammond at the Illinois border to near Angola at the Ohio border. Interstate 80 runs with Interstate 94 for 15 miles as part of the Borman Expressway through the suburbs of Northwest Indiana; the Borman is the busiest highway in the state. East of there, it multiplexes with Interstate 90 as part of the Indiana Toll Road for the rest of its routing across the state, passing by Chesterton, LaPorte, South Bend, Elkhart and Angola. A drive through the area on November 4, 2011 revealed that the ramp was open to traffic. However the exit was closed again in October 2013 and will remain out of service to spring 2015. The detour route directs motorists westward to Interstate 65 south for the Interstate 80 mainline continuation onto the Borman Expressway. Travelers continue along the Indiana Toll Road below the Exit 101 access road to Indiana 15 near Bristol. Photo taken November 4, 2011. 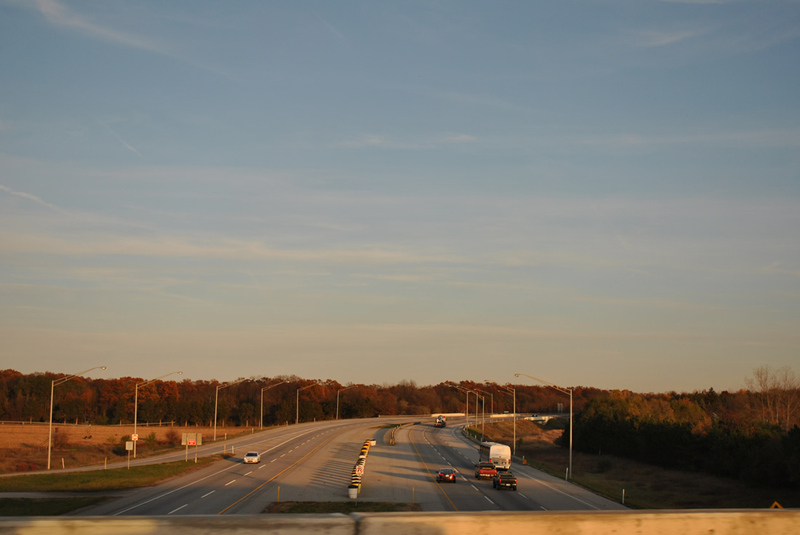 A three lane toll plaza lines the access road connecting Interstates 80 & 90 and Indiana 15 at of Exit 101. Photo taken 11/04/11. Guide sign for the Indiana 15 destinations of Bristol and Goshen to the south and U.S. 12 to the north via M-103. Waters from the St. Joseph River flow just west of the state road. Photo taken 11/04/11. Ohio and Chicago are the control cities for the Indiana Toll Road (Interstates 80 & 90) leaving the toll booth from the ramp from Indiana 9 onto the Toll Road north of Howe in LaGrange County Photo taken 02/06/12. "Toll Road to Borman ramp closed for indefinite period." NorthwestIndianaTimes, August 8, 2011. 11/04/11 by AARoads. 02/06/12 by Thomas Decker.